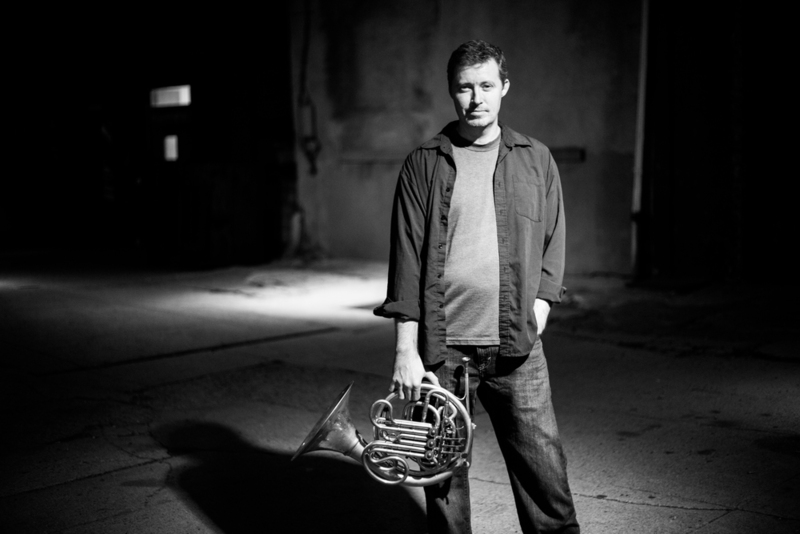 Through his innovative and intrepid approach, French hornist/composer/bandleader Justin Mullens is pushing the boundaries of the French horn as an improvising instrument in jazz. On his new album, The Cornucopiad, due out on Brooklyn Jazz Underground Records on March 11, 2016, Mullens offers new through-composed pieces alongside well-known standards (such as "Hub-Tones", "You Stepped Out of A Dream" and "Naima") that highlight his imposing flair as an improviser and composer. The Cornucopiad is a big departure from a typical jazz album that features the French horn, mainly due to the striking artistry of Mullens. One of the main features on The Cornucopiad are Mullens' solos on the French horn, rooted deeply in the jazz lexicon, guiding the listener through a myriad of harmonically rich passages that are accentuated by the mellifluous sound of this instrument. To say that Mullens has raised the bar considerably, in terms of what can be achieved as an improviser on the French horn, is an understatement. The theme and structure of The Cornucopiad is almost a kind of twofold “concept” album. A trilogy of originals by Mullens based on the Greek myths of the metamorphosis of the Cornucopia are intertwined with a trilogy of standards that compliment the mood of their counterparts. The glue that binds the two trilogies takes the form of five "shorts" composed by Mullens for French horn and guitar. The album features The Justin Mullens Octet: Justin Mullens (French Horn), Chris Cheek (Alto Sax & Clarinet), Peter Hess (Bass Clarinet), Ohad Talmor (Tenor Sax), Peter Thompson (Guitar), Desmond White (Bass), Matt Ray (Piano), Marko Djordjevic (Drums). Mullens said of this incredible band, "It is the deep musical insight of the musicians on this recording that bring life to these compositions." Through his work as an improviser Mullens has been at the forefront of the development of the French horn as a vehicle of expression in the jazz idiom. Mullens has borrowed the technique and phrasing that is more in line with what one would hear from a tenor saxophonist or trumpeter, yet retaining the unique richness and mellifluousness of the French horn. Over the span of his vibrant career, Mullens has had the opportunity to play with many amazing artists such as, Wallace Roney, David Sanborn, Bernie Worrell, Bootsy Collins, Steve Turre, Dizzy Gillespie, Chris Cheek, Ohad Talmor, Robby Ameen, and Tootie Heath. As well as recording and performing with many groups as a sideman, Mullens has also led, and composed for, his own projects, including The Delphian Jazz Orchestra, The Justin Mullens Quintet, and more recently, The Justin Mullens Octet. Mullens has recorded two albums of his own with The Delphian Jazz Orchestra and his newest creation, with his Octet, The Cornucopiad, on Brooklyn Jazz Underground Records. Mullens has been featured often as a composer and has had his pieces performed in a wide spectrum of settings, including commissions for film, dance, big bands, and chamber ensembles. As a composer, he is perseverant in his endeavor to break the formal confines of traditional jazz composition, bringing an arresting mix of sounds, textures, and images to his audience. The mercurial innovations of this original music are brought to life by some of NYC's most illustrious musicians on his new album, The Cornucopiad.